The building of the mini-h quad is completed. I'm currently trying to PID tune this thing. Current total weight without battery is 366 grams. After hooking up a “2 cell 1300mAh 15C” lipo battery it was clear that a 2s battery is more than enough to fly this quad in this current setup and weight. 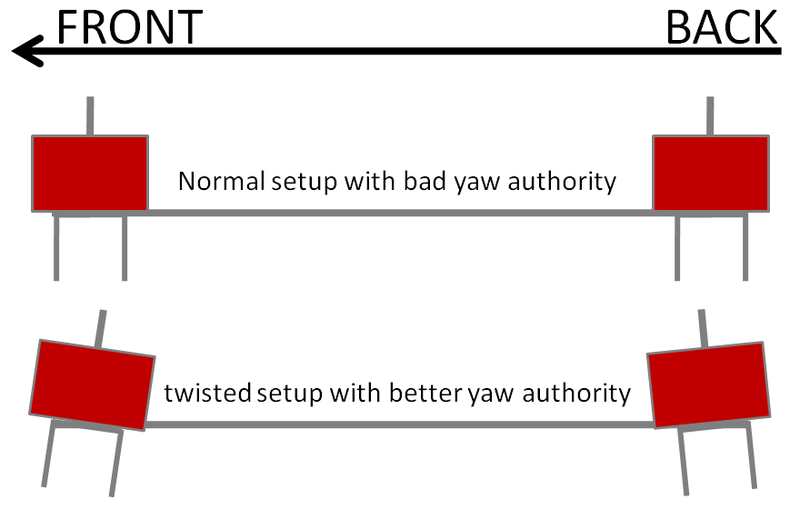 The first thing I noticed was again a bad yaw authority. Although I’m using 2 x CCW props and 2x CW props the quad always turned clock wise. So like my other large X-quad project I needed to twist the motors to get a better yaw control and overall stabilization. I have just bend the alu U-form tubes a bit and that fixed the problem. 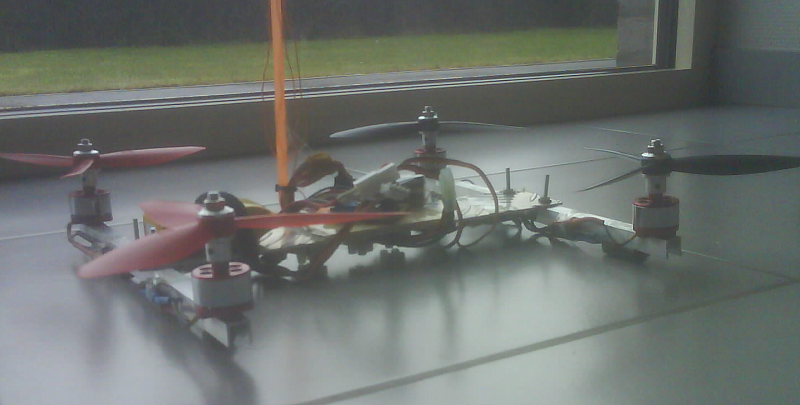 Due to the high power and low weight the quad is reacting very aggressive to my RC transmitter control. For beginners this can be hard to learn and some practice is needed. To smoothen down the RC controls you need an RC transmitter wich allow you to configure sensitivity for your controls. Or you can choose a smaller prop which will give you less power. Another way would be to increase the size of the frame. Make it 30x30 or 35x35 instead of 25x25 cm.